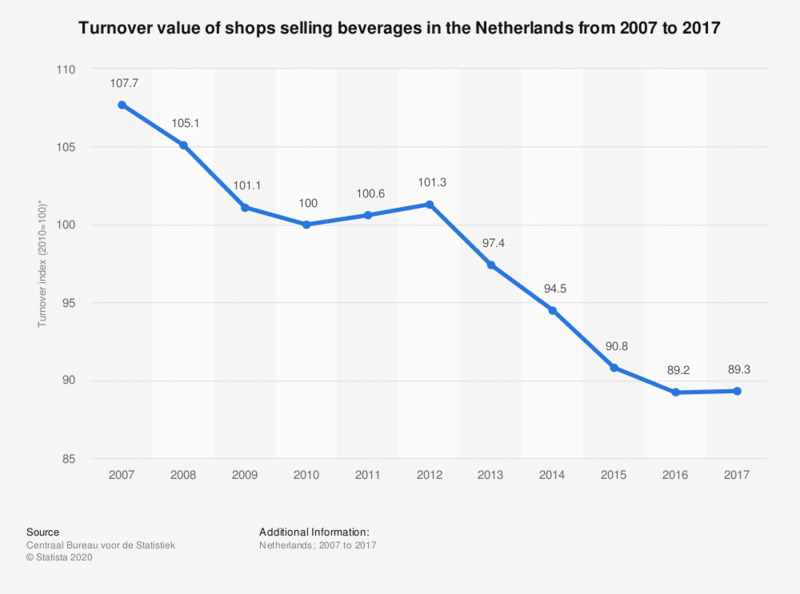 This statistic shows the retail price index for shops selling beverages in the Netherlands as an annual average from 2007 to 2017, where the year 2010 equals 100. In 2012 the retail trade price index of shops selling beverages was measured at 101.3. By 2017, this had decreased to 89.3. * Index value 2010 equals 100. The year 2010 is the base year used to calculate the index value.